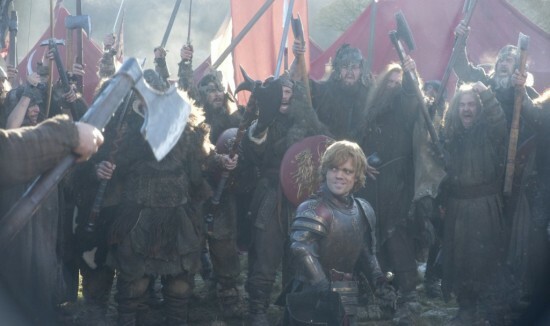 As the Stark and Lannister armies prepare for their first battle against one another, Tyrion leads his barbarian allies into battle while Robb and Catelyn bargain for a renegade Lord's help. With Drogo dying from his infected wound, Daenerys goes to desperate measures to save her husband's life by using a witch's blood magic, much to the Dothrakis' horror. At the Wall, a Targaryen reveals himself - and the price of loyalty - to Jon, who worries about events outside of the Wall. In a final bid to save his daughters' lives, Ned falsely confesses to conspiracy and swears fealty to Joffrey as the rightful heir to the Iron Throne. To the horror - and delight - of the assembled crowd, Joffrey has him executed regardless.